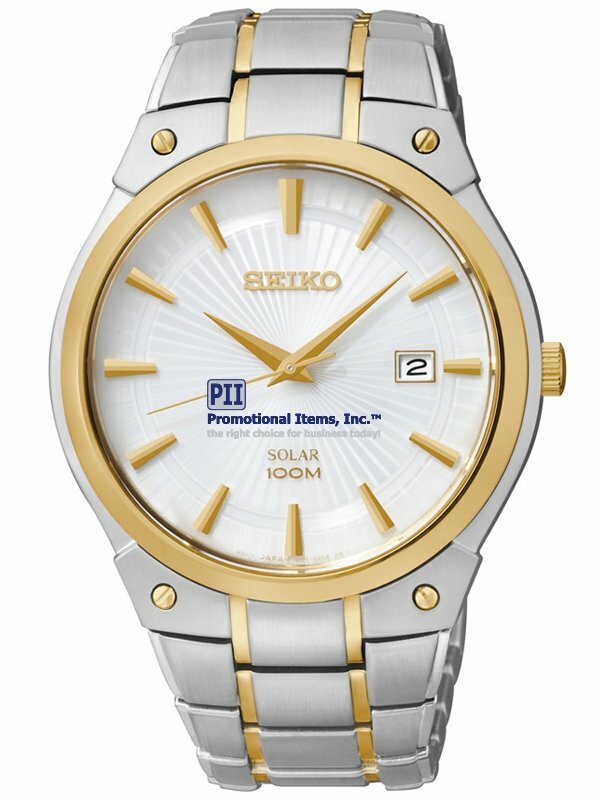 Corporate gift watch with the brand name for your logo watches, Seiko. Features 41 mm case, three-hand movement, 100 M water resistant. power reserve once fully charged. Date window at 3:00 position. Screwdown caseback. The dial is perfect for logo. Seiko Box. Give the gift of a Seiko when the occasion really matters. Delivery from date of a logo watches order is 4 weeks. Price includes a full color custom logo digital imprint on dial.